PV solar panel transparent reflective film Product Name: pv solar panel reflective transparent film MOQ: 100m/roll,200m/roll or customized Feature: Reliable insulation,water and aging resistance, high-temperature,oxidation resistance, excellent resistance to wind and sand. 2. What's solar pannel backsheet9 A: The solar pannel backsheet is located on the back of the solar panel,which plays a role of protection and support for the battery . 3. Do you have any certificates for your products9 A: Yes,we have TUV,SGS,UL certificates, and our factory certificated with ISO 9001. 4. Can we make customize size 9 A: Yes, customized size is available . Cangnan Sky Package Material Co., Ltd.
3. Fruit tree, increasing the sunshine to make the fruits redder and sweeter. Product Usage Show Company ability Shengkai Group has three sub-companies, Cangnan Sky pacakge material Co. Product Packing 1. free sample in A4 size or customized roll sample. VMBOPET (High gloss film) Product Description: VMPET high gloss film are characterized by their excellent optics capability and high gloss and low haze. he width of twist film is 500~2500mm as default, and the length is available in a range of 3000~12000m. This VMPET high gloss film is ideal film for mirror, tobacco, gift boxes, composite packaging etc. Silver and white mulch film can reflect light to keep the plant getting even light. 1) Black Mulch Film reflective mulch film For weed control, prevent water evaporation. Silver/Black mulch film in application White/Black mulch film used in straberry growing. Q: How long is your delivery time9 A: Generally it is 5-10 days if the goods are in stock. or it is 15-20 days if the goods are not in stock, it is according to quantity. Q: What is your terms of payment 9 A: Payment&lt;=10000RMB, 100% in advance. If you think it is too much, we can discuss according to your requirement in details. 3.What is your delivery time9 We deliver in 10-20days 4.What is your payment9 TT or LC at sight. 5.Can you accept mixed products in one container9 Yes, we accept for sure. Tianjin Caida New Materials Technology Co., Ltd.
Q3-What kind of products you offer9 A: We are a film factory, we offer auto window film, safety film,solor film and TPU. We have 5 production lines for the film and can assure you of a fast delivery for films. 2. Touch: Good film have thick smooth feeling, and inferior film is thin and crispy, easy to wrinkle. Q2: How can I get some samples9 A2: Small samples in store and can provide the samples for free, but you need to pay for the postage fee. Q4: How about the delivery time9 A4: Sample order&rsquo;s delivery time is 3- 5days. Q6: How to get the product quotation9 A6: Please tell us your required material & material purpose & width & thickness & color & quantity. 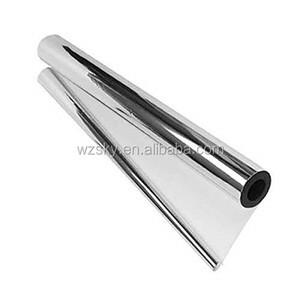 Thickness for tempering: 4~6mm 2)Safety film:white PE glossy film and woven fabric CATII backing film Strict Seal Operation 1)Prevent fall into dust 2)Reduce energy loss Main products Silver mirror, Aluminium mirror, safety mirror etc. Seaworthy wooden crates with paper interleaved, and rubber sheet, foam, plastic paper, cardboard etc inside to protect the mirror glass Detail Photos Certified 1. R easonable price 2.Best price/performance ratio products, get g ood reputation from your market and more orders . 3.Cash back: (if you are not satisfied ,quality is bad ) 4.S horter delivery time :(within two weeks) 5.Quick response, professional service ( Any questions from you will be replied in 12 hours ) 6. Perfect package ,Better bespoke service . 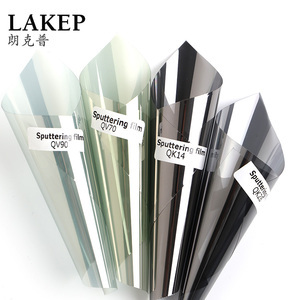 That is very suitable for solar laminated glass. Fangding solar EVA film could be processed with vacuum heating method. 7.The tensile strength of Fangding EVA film for solar cell encapsulation is much high than samilar products. 5. Reasonable price: We could help you strike a very balance between quality and price. 4. Customer make the payment for deposit and send us Bank receipt. 11. Please kindly give us a good comment if you are satisfied with our products and service. 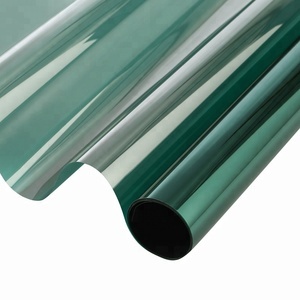 Alibaba.com offers 5,532 solar reflective film products. About 3% of these are plastic film, 2% are reflective material, and 1% are other solar energy related products. A wide variety of solar reflective film options are available to you, such as free samples, paid samples. 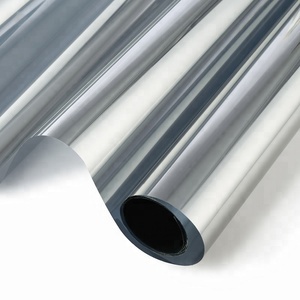 There are 5,526 solar reflective film suppliers, mainly located in Asia. The top supplying countries are China (Mainland), Malaysia, and Taiwan, which supply 99%, 1%, and 1% of solar reflective film respectively. Solar reflective film products are most popular in Domestic Market, Southeast Asia, and South America. You can ensure product safety by selecting from certified suppliers, including 1,075 with Other, 483 with ISO9001, and 71 with ISO14001 certification.